2017 Good Luck Tips: Let's Start! Before delving into the exciting world of Chinese zodiac signs and their luck in 2017, I will start with a word of caution first. The feng shui tips given here should be used with a discriminating eye as they are based on general predictions for your Chinese zodiac sign. There is definitely much more to every human being that just the symbology of the year the person is born. 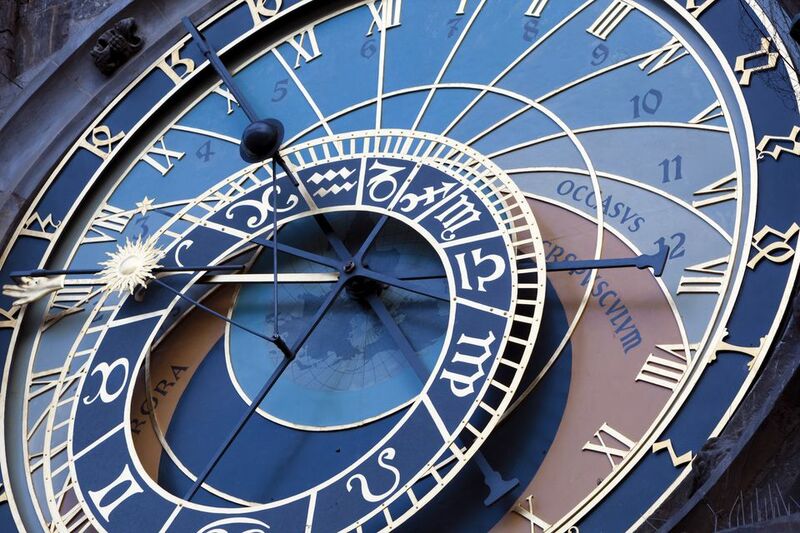 If you are familiar with astrology, you know that even several minutes can make a big difference in a person's birth chart. Still, exploring these feng shui tips will definitely help improve your energy and make you more aware of the potential the Fire Rooster year might have for you. If you do know your Chinese zodiac sign, let's start! The Fire Rooster energy of 2017 will require hard work from the Rat Chinese zodiac sign people. It will also require the ability to make quick decisions and then stick to them. 2017 might prompt you to be way more conservative with your spendings and more careful with bold career moves. At the same time, it promises to bring many exciting new people and better quality relationships into your life. Hard work, consistency, being more conservative with money and career, and an abundance of joyful experiences in your relationships are the keywords in 2017 for the Rat sign. WEALTH & CAREER: To strengthen career luck in 2017, Rat people can look into feng shui career success tips and cures and choose ones that work best with their personal birth element. Remember that the advice for you in 2017 is to approach any matters related to money and career with caution and consistency. To strengthen the energy of wealth, follow both the basic wealth feng shui guidelines, as well as the annual 2017 updates. LOVE: 2017 continues the same energy from the two previous years for you - it keeps bringing better quality energy to all your relationships, including your romantic relationship. Use feng shui love cures in your bedroom to strengthen the auspicious energy coming your way. There might be some energy related to the development of arguments and conflicts in one's personal relationship - being aware of this possibility should help you avoid or minimize its consequences. HEALTH: In 2017 Rat people will enjoy moderately good health. You can always look into implementing new health feng shui tips in your home, as well as bringing health feng shui decor cures, such as the Medicine Buddha, or a Wu Lou for calming energy. PERSONAL FENG SHUI: You can also look into good feng shui jewelry as a means of strengthening your personal energy. Be it jewelry with crystals and stones that work best for you, or adorned with various auspicious classical feng shui symbols, such as Pi Yao, Dzi beads, the Double Happiness sign or an amulet with your own Chinese zodiac sign. The energy of the Fire Rooster sign is on pretty good terms with you, so as long as you keep in mind the above recommendations, you should enjoy a wonderful year. Make a point of watching your energy and know when to slow down in order to avoid conflicts and arguments in your personal life. Have a beautiful and fun 2017! 2017 is expected to bring excellent energy to Ox people based on their very good relationship with the energy of the Rooster (the Ox is considered Rooster's best friend and ally). No more restrictions for the mighty Ox! There will be endless awesome opportunities coming your way, so keeping balanced, being patient and finding time to unwind will be very important for you in 2017. WEALTH & CAREER: A much improved financial situation is possible for you in 2017. To assure you make good use of all the incoming opportunities, work with feng shui cures for career success, as well as the wealth & money cures that most appeal to you and your home. Also look into strengthening the feng shui bagua area with the wealth star for 2017. LOVE: Working on being patient, as well as trusting more (for good reason!) can be helpful to Ox people in 2017. Paying more attention to your close relationships is recommended. Look into applying feng shui tips and cures to strengthen the flow of love in your home. And, of course, do your best to create a good feng shui bedroom! HEALTH: Apply specific feng shui health tips in your home to support you throughout the year, create a home environment that is nurturing of your birth feng shui element. The Wu Lou feng shui symbol is the one that is again recommended for Ox people in 2017, especially as a personal amulet that you can often carry with you. As this is expected to be a very busy year for you, be mindful of taking care of your stress levels before they get too high. Do your best to be patient, take good care of your health so that you can enjoy all the great opportunities that your friend, the Fire Rooster energy of 2017, is bringing you! The Fire Rooster energy of 2017 should be kinder to the powerful Tiger than the previous year. You might still feel the carry-over of difficult energy from the Monkey year, so be sure to take things slow and do not rush into fighting restrictions and difficulties that might still be there. Take good care of your personal energy and know there are many excellent opportunities coming to you in 2017. WEALTH & CAREER: Better luck in all wealth manners is here for you this year, but caution is still advised. Take care of your finances and do not take major risky decisions - the time for more bold actions is coming to you next year when the good luck energy will really be strong for your sign. You can still use the same feng shui good luck and protection cures with the energy of blessings, such as Kwan Yin or the Laughing Buddha. It is also a good idea to stabilize the wealth energy with good feng shui prosperity cures, be it a wealth vase, a money tree, a wealth ship or a red tassel with Chinese coins. LOVE: The energy of conflict in your relationships is still present for you in 2017. Some relationships might not survive, but be sure the ones really worth their salt will stay. Of course, this requires your commitment to stay present and open, thus avoiding unnecessary conflict. You can strengthen your love luck with such popular feng shui love cures as the Double Happiness sign, the Mandarin ducks or 2 rose quartz hearts. Of course, it goes without saying that creating (and keeping!) good feng shui in your bedroom, as well as regularly checking the flow of energy in your home is always important. HEALTH: With the possible energy of conflict still present for you in 2017, taking good care of your health is important. A Medicine Buddha statue is an excellent feng shui health cure for you in 2017. Be sure this energy is welcomed by good feng shui in your home, particularly with feng shui health cures in your health area, as well as the living room. A vibrant lucky bamboo or the Wu Lou (Chinese gourd) can also be good feng shui cures for you. PERSONAL FENG SHUI: Specific feng shui crystals in jewelry or as feng shui amulets always bring benefits, especially since everyone's energy, no matter how good, tends to fluctuate throughout the day. Crystals such as Tiger's eye (of course! ), citrine and pyrite are especially beneficial for the Tiger. Everyone goes through ups and downs and everyone has their share of challenges. You've had plenty of them last year that will still be lingering in 2017. Be sure, though, that the skies are getting very bright for you this year, with an absolutely stellar year coming in the year of the Dog (2018). Some difficult energies are predicted for Rabbit people in 2017, mainly explained by the fact that the playful Rabbit energy is considered opposite to the proud and responsible Rooster. More attention than usual might be required to keep your personal energy strong and vibrant. You can also benefit from putting more care and discernment into all your relationships, as well as your financial decisions. WEALTH & CAREER: Both your financial situation and your career will need attention in 2017. Taking things slow and accepting that this is not your stellar year can help navigate the possible challenges. Be sure to use feng shui cures for career success, as well as wealth. In addition, you can apply the annual 2017 feng shui wealth star requirements in your home. LOVE: Your 2017 love luck can be strengthened by your choice of smart feng shui love cures, be it the rose quartz hearts or a small statue of lovers. If you are single and looking for a love partner, art with peony flowers can be a potent feng shui image in your bedroom. Strive for honesty and consistency in your intimate relationships to avoid potential difficulties. HEALTH: As 2017 is predicted to be a challenging year for Rabbit people, it is important to take very good care of your health. Be sure the feng shui energy in your home is supportive of your health and well-being. Use feng shui health cures of your choice and surround yourself with beauty to help nourish and express the best of your personal spirit. This can be the year when you experience many spiritual revelations and openings, making your connection to Spirit stronger; be sure your home reflects a strong desire and respect for Spirit/God/Divine energy in your life. PERSONAL FENG SHUI: A bit of feng shui protection can go a long way, so look for good feng shui jewelry to strengthen your energy and create a shield of protection around you. The mystic knot pattern in any of your accessories can promote a continuous flow of auspicious energy. The energy of Green Tara can be very helpful for you this year. Even though a potentially challenging might be in store for you, remember to take good care of your personal energy and stick to consistency, honesty, as well as strengthening your connection to all matters of Spirit/God/Divine energy. Enjoy the best of 2017! The Fire Rooster energy of 2017 is predicted to bring excellent energy in all its expressions for those born in the Dragon year. Things are getting even better than last year for you, so be sure to make the very best of it! WEALTH & CAREER: Even more wealth-building opportuntites are predicted to come your way in 2017. To assure a continuous flow of prosperous energies in your career, choose some feng shui protection and wealth cures. Also, do your best to stay humble and generous, and realize that there is way more to life than your tendency to see it through financial accomplishments (yours or others). LOVE: 2017 can bring more depth and live to those already in committed relationships, while at the same time making it difficult for single Dragons to find a romantic partner. No matter single or committed, focus on creating a good feng shui bedroom for yourself, and a strong feng shui front door and happy overall energy in your home. Knowing how to find love and nourishment inside yourself (as well as in your own home!) can help you if you experience potential challenges in your relationships. HEALTH: As this is a bright and busy year for you, be sure your home has a good feng shui energy to support your health. A statue of Kwan Yin or the Medicine Buddha can be an excellent feng shui enhancement for the Dragon sign in 2017. Also look into the various feng shui health tips and cures for your home. PERSONAL FENG SHUI: Energy strengthening feng shui crystals (in jewelry or as feng shui amulets) are very good for you. Explore the properties of various crystals and choose the ones you like the most. Ammonite, tourmaline, and amethyst are just a few suggestions of good feng shui crystals for the Dragon in 2017. Enjoy the excellent year ahead, mighty Dragon! The Fire Rooster energy of 2017 brings you excellent energy for all of your endeavors as the Snake sign is on very good terms with the ruling Rooster energy. Whatever area of your life you want to focus on and improve - be it your career, your money, or you love relationship - the energy is there for you to make it happen. Do your best to keep your health at optimum levels; when there is a lot of strong energy available to you, the potential for burnout is also strong. WEALTH & CAREER: The potential for advancement in your career, as well as a better money flow, is here for you in 2017. Take extra care of the challenging annual feng shui bagua area of your home by placing there a salt water cure. The Chi Lin cure can work there, too. Use the wealth and career feng shui cures in both your home and your office. LOVE: Excellent luck in your love life is predicted in 2017, so make the best of it! Check to be sure you have a good feng shui bedroom, as well as adorn your home (in a subtle way, of course!) with appropriate feng shui for love cures. Choose from peony flowers (if single); romantic art, rose quartz hearts, or the more traditional Chinese feng shui cures such as the Double Happiness sign or the Mandarin ducks. HEALTH: Your health levels are high this year, which also means you can experience a lot of stress from too much activity (even if it's very auspicious!). Focus on good health cures in 2017. Create calm, healthy energy in your home, use the power of vibrant plants, fountains, crystals and essential oils to keep the energy fresh and flowing. PERSONAL FENG SHUI: Look for crystals and jewelry designs with calming, balancing energy properties. Crystals such as hematite, multicolor tourmaline, malachite, and jasper, are just a few of the many feng shui crystals to help you take good care of your energy. Take time to explore feng shui good luck and protection cures and see which ones you can carry as a personal amulet. Your sign is expected to have a fantastic 2017, make the best of it! Another year of excellent energy is predicted for Horse people in 2017 with especially bright energy in their love life. It looks like things keep getting better and better for you! To strengthen the auspicious energy coming your way, look into implementing both feng shui for love, as well as various feng shui career cures. WEALTH & CAREER: A strong and supportive energy to help accomplish your professional goals will be available to you this year, too. There are many feng shui cures to help strengthen the energy of career success, among them the image of your own sign - the Horse - is the most popular one. Look into feng shui wealth cures, too. LOVE: The energy of your love life is excellent this year with plenty of opportunities to meet new people (if you are single), as well as strengthen and deepen an existing love relationship. Creating a good feng shui bedroom, as well as taking care of your daily energy levels, is always a good advice to follow. PERSONAL FENG SHUI: Dzi beads are good for you in 2017, as well as other feng shui crystals or amulets, especially the ones with the mystic knot design. Explore feng shui good luck and protection cures and see which ones you can carry as a personal good luck charm. 2017 is predicted to be an excellent year for Horse people who know how to manage their energy well. Be sure to take good care of your personal energy, as well as the energy of your home and office, and enjoy a fantastic 2017! Sheep (Goat) people are expected to have a quiet 2017. There might be some challenging energies coming your way, so the best advice is to keep calm and quiet, notice everything around you and know that this is a time of reflection rather than action. Taking things at a slower pace will bring you more luck this year, so do develop patience. WEALTH & CAREER: Being careful with your career goals and actions is highly suggested for the Goat sign in 2017. Use feng shui cures to help strengthen the energy of career success, as well as wealth cures. 2017 is a year to be conservative and calm, as well as slow planning for your clear long-term goals. LOVE: The energy of your love life is predicted to be very busy, and this can express itself in both positive and negative events. Creating a calm, harmonious home - especially a good feng shui bedroom - will assure your energy is strong in 2017. PERSONAL FENG SHUI: Explore the properties of various feng shui crystals and stones and use them as jewelry or personal amulets. As always, pay attention to basic steps from eating good food and exercising to surrounding yourself with good feng shui. 2017 is expected to bring you mostly quiet energy, so use your wisdom to enjoy it. Practicing more responsibility and discipline will be the keyword for Monkey people in 2017. There will still be many opportunities to enjoy, but most of them will require a more mature and calm approach, as well as honing the skills of wise decision making. Care should be taken to avoid arguments, both in personal, as well as professional life. Using discernment in all your relationships will lead to much success. WEALTH & CAREER: Many new opportunities to create wealth can be there for Monkey people in 2017. To make the best use of this energy, use various feng shui wealth cures. Focus on feng shui cures with a strong earth element in them such as various crystals, the Dzi beads or the gem tree. Not all developments will be easy and lasting, so be sure to use your choice of feng shui career success cures and tips. LOVE: The luck in your personal and love relationships in 2017 is average. Still, do your best to nourish the energy of love in your home with a good feng shui bedroom, as well as with your choice of feng shui love cures. The presence of Kwan Yin or the Medicine Buddha in your feng shui relationships area can bring calming, protective energy. HEALTH: A balanced energy in the feng shui health trinity of your home will help you stay calm and healthy, so keep a good eye on it throughout the year. In addition, look into popular feng shui cures for better health such as essential oils, air purifying plants, good feng shui art, crystals, etc. As long as you manage to keep your energy balanced, you should enjoy a good year of vibrant health. PERSONAL FENG SHUI: The main focus in your feng shui efforts is to create calm, serene, down-to-earth energy. You can do that with various crystals, such as carnelian, citrine, jasper, moonstone and clear quartz in jewelry or as personal amulets. Using good feng shui images that help you stay centered and calm is also a good idea. 2017 brings potentially very good energy to Monkey people. With the proper focus on the 2 main goals - plenty of calm and a simple, down to earth, practical approach to all events - you can make this an excellent year. Roosters will experience excellent luck this year because, well, it is their party - their year! Plenty of good luck energy, success and prosperity are all predicted to come your way in 2017. Being mindful of the need to balance the strong/yang energy with the gentle and nourishing yin energy is the key to your absolute success this year. Discipline and patience will also greatly help you. Going slow and steady will bring you the most success, this is a truly transformational year for you. WEALTH & CAREER: To strengthen and reaffirm the wealth and success energy coming your way, consider decorating your home or office with career success and wealth feng shui cures. The feng shui crystal tree is also recommended to you. Being more conservative with your career moves is recommended in 2017. LOVE: You are expected to have good luck in 2017 in all your relationships, especially if you focus on being calm, caring and clear in your communication. Do your best to nourish and strengthen the flow of love energy in your home with various feng shui love cures. PERSONAL FENG SHUI: As your personal energy will be running high year, focus on creating calm and nurturing energy. You can do that with crystals, such as aquamarine, turquoise, celestite and clear quartz in jewelry or as personal amulets. 2017 is your year, dear Rooster, make the best of it! Another very good year is predicted for the Dog Chinese zodiac sign people! There can be good progress in your career and calm happiness in your personal relationships. Because the inherent energy (and values) of the Dog people are very different from the energy of the ruling Rooster sign, it is good to practice patience, calm and caution this year. WEALTH & CAREER: You will see many improvements in your financial situation, as well as in your career. Crystals are recommended for you as the main wealth feng shui cure, including the gem tree, various wealth cures made from crystals and stones, such as the jade Laughing Buddha, for example, or personal jewelry made from specific crystals. LOVE: By focusing on warm, clear and calm energy in your home, especially in your bedroom, you will have the energetic foundation to keep experiencing a supportive love life in 2017. Use your intuition when it comes to both new, as well as old relationships and friends. HEALTH: Explore the feng shui tips for health and see which tips, products or suggestions can work well in your home or office. Do not overlook the feng shui basics, such as a good energy flow in your home, fresh air and good light, air purifying plants, etc. Create calm and beauty and know that ultimately your health depends on what you think of it. PERSONAL FENG SHUI: The Pi Yao symbol and the Dzi beads are good for you this year. It is also recommended to use specific crystals, such as tiger's eye, carnelian, jasper, amethyst and jade in jewelry or as personal amulets. Enjoy the good opportunities coming your way, stay calm and patient and have a beautiful 2017! A very good 2017 is in store for Pig (Boar) Chinese zodiac sign people. Plenty of luck and auspicious energy are there for you, especially in your career and your personal life. Be sure to take good care of your energy and avoid stressful situations. The energy is there to envision and embark on a new adventure in your life, what is it that you really want to create? This is the year that can really help you manifest your dreams. WEALTH & CAREER: The many opportunities coming to you in 2017 will help attract and grow wealth by progressing your career. Choose wealth and career success cures as needed (meaning choose the feng shui cures you feel really drawn to) and trust your judgment. LOVE: 2017 brings you good energy in keeping and nourishing an existing love relationship. Enhance your Love & Marriage area with good feng shui cures. Use discrimination when it comes to new relationships, be it personal or professional, stay focused on your goals. HEALTH: It is important to take time off and replenish yourself, otherwise you might exhaust your energy in such a busy year as 2017 promises to be. Implement the feng shui health cures of your liking, take good care of the feng shui health trinity in your home, and be sure to make space for yourself. PERSONAL FENG SHUI: Your focus in 2017 is on enjoying all the awesome opportunities that come your way while focusing on strengthening your energy. Feng shui-wise, you can always do that with a nourishing environment, as well as by using various crystals. Celestite, amethyst, black tourmaline and aquamarine can bring strengthening benefits to you this year. Employ them as personal amulets or find jewelry with the crystals you need. 2017 brings very good energy to Pig people. As long as you remember to take good care of your energy, you can truly benefit from all the amazing opportunities to create a new vision for your life. Curious about more feng shui good luck tips? We have them all ready for you! Let's continue our exploration by finding your very own birthstone. Well, actually you have several of them. And, in case all of them are too expensive (not everyone can afford diamonds and rubies); we also have a list of alternate birthstones to help you attract good luck.